We create top quality custom designed stained glass for Missouri City Texas homes, offices, commercial spaces, and churches. For the residents in Missouri City, their homes are extremely important. When they are looking to add beauty, style, a wow factor, and some serious elegance, they turn to us for custom stained glass that lifts the level of décor in any room. Nothing says class and sophistication quite like stained glass. We create stained glass entryways, stained glass bathroom windows that add privacy as well as beauty, and even stained glass kitchen cabinets for a huge kitchen upgrade without having to redo the entire kitchen. When we work with Missouri City TX homeowners, we come right to their homes to collaborate on the perfect design. Since each client has their own unique style, we work in a wide variety of styles, including: antique style, Art Deco, Art Nouveau, Celtic, Beveled Glass, Mission or Prairie Style, Floral, Frank Lloyd Wright, and many other styles. During the design consultation, Missouri City clients will discuss their ideas with one of our designers. They can see photos, samples of different styles, even sketches until they decide on the style, pattern, and colors or types of glass they want in their homes. When we work with Missouri City businesses, our custom design method is the same. But for commercial stained glass clients, we might suggest something really spectacular, like a stained glass ceiling in a hotel lobby or a stained glass skylight in a high end salon. 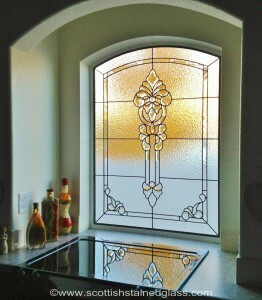 Stained glass backdrops behind a bar, stained glass signage in a door or front window . . . we build whatever our Missouri City clients want to take the décor of their businesses to the next level and create the ambiance that keeps their customers coming back over and over again. Stained glass is popular in churches of all denominations across Texas. In fact, Missouri City churches already have some fantastic examples of this beautiful and inspiring glass art form, such as the gorgeous windows in the St. Angela Merici Catholic Church on Sienna Ranch Road, Missouri City. For churches and other houses of worship in Missouri City who have older or antique stained glass, we also offer expert repair and restoration services. 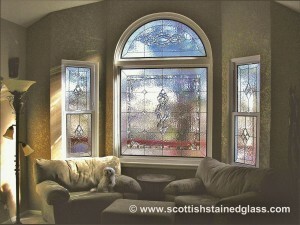 If you believe your stained glass windows are damaged or losing their structural integrity, please contact us at once. Our custom stained glass company is part of the largest stained glass studio in the nation, with over twenty years in business. We use local Houston designers and stained glass artisans to build your windows and doors, so you are actively supporting your local community’s economy and supporting your local crafts people as well. Please contact us today for more information or to set up an appointment for custom designed, hand crafted stained glass for your Missouri City home, office, commercial space, or religious institution.